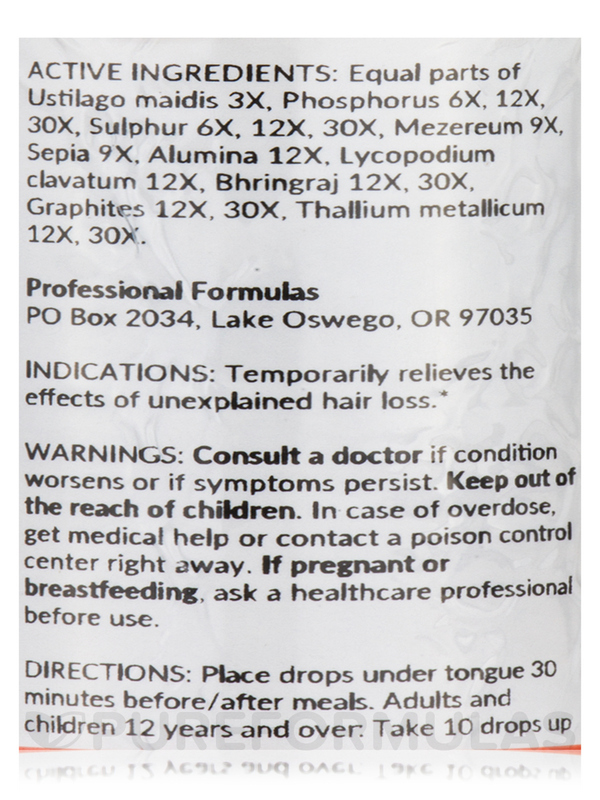 Temporary relieves the effects of unexpected hair loss. Active Ingredients: Equal parts of Ustilago maidis 3X‚ Phosphorus 6X‚ 12X‚ 30X‚ Sulphur 6X‚ 12X‚ 30X‚ Mezereum 9X‚ Sepia 9X‚ Alumina 12X‚ Lycopodium clavatum 12X‚ Bhringraj 12X‚ 30X‚ Graphites 12X‚ 30X‚ Thallium metallicum 12X‚ 30X. Place drops under tongue 30 minutes before/after meals. Adults and children 12 years and over. Take 10 drops up to 3 times per day. Consult a doctor if condition worsens or if symptoms persist. 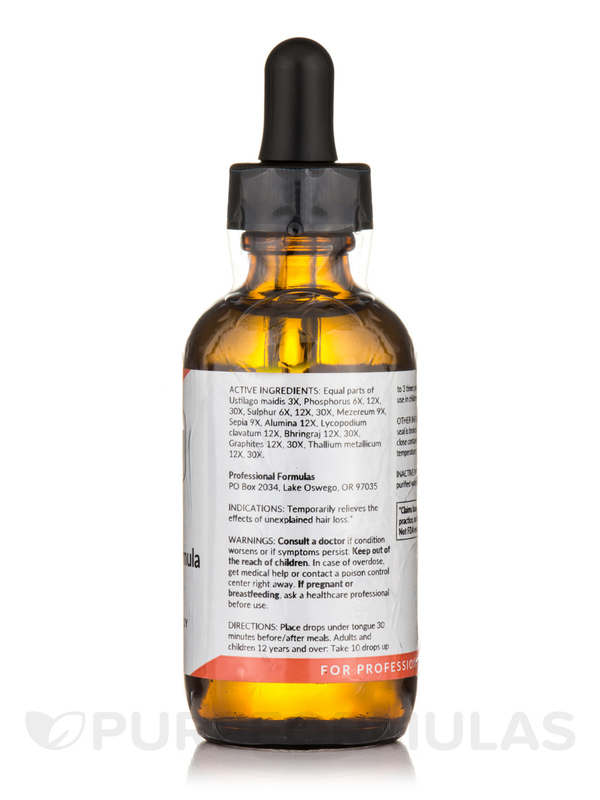 I purchased Alopecia Drops by Professional Formulas for my girl friends grand daughter. Auto immune deseases are hard to cure. Finding the reason for it is difficult and removing yourself from it too. I believe it may take a year of using this product or longer. Over the past year I have experienced progressive hair loss. First beard scalp eyebrows eyelashes nasal &amp; ear hair were lost. Am currently thinning noticeably on torso groin &amp; legs. This condition is variously defined as: Alopecia Areata Alopecia Totalis &amp; Alpecia Universalis. After rejecting the offers from my Dermatologist to go through an extended course of either steroidal injections or the application of agents to my scalp to illicit a rash-like reaction that might possibly encourage hair regrowth I payed a visit to an Acupuncturist that has treated me effectively for issues regarding pain. He told me that the hair loss was related to my adrenal glands according to his understanding of Traditional Chinese Medicine. He administered acupuncture treatment. 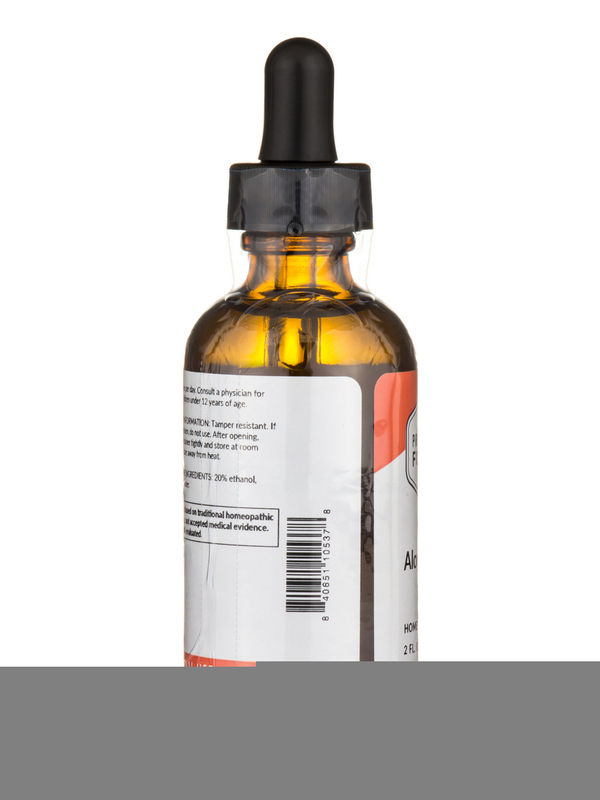 Yet clearly felt that the use of these Alopecia Drops would be most likely to help my condition. 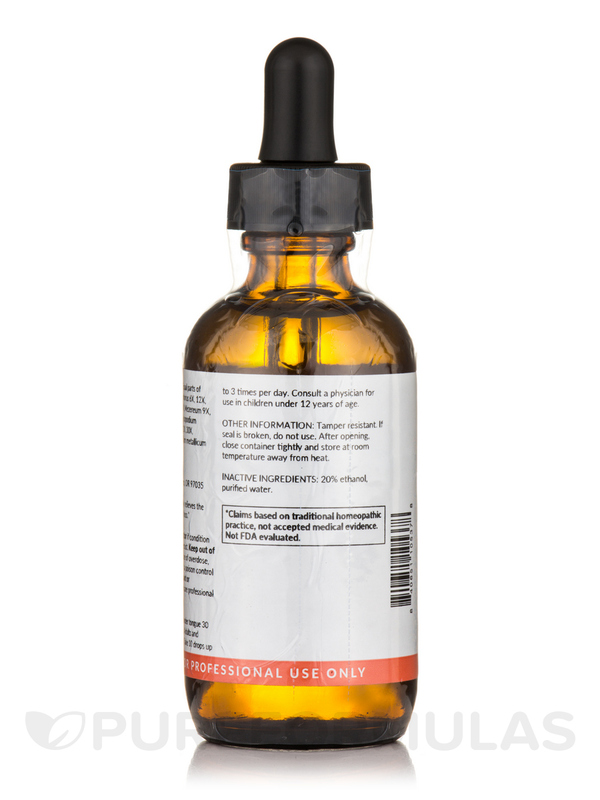 After using 5 bottles of the Alopecia Drops with no positive results (hair regrowth &amp;/or slowing of hair loss) I have decided to discontinue the use of this product. Please note: I have a rare and severe form of Alopecia. 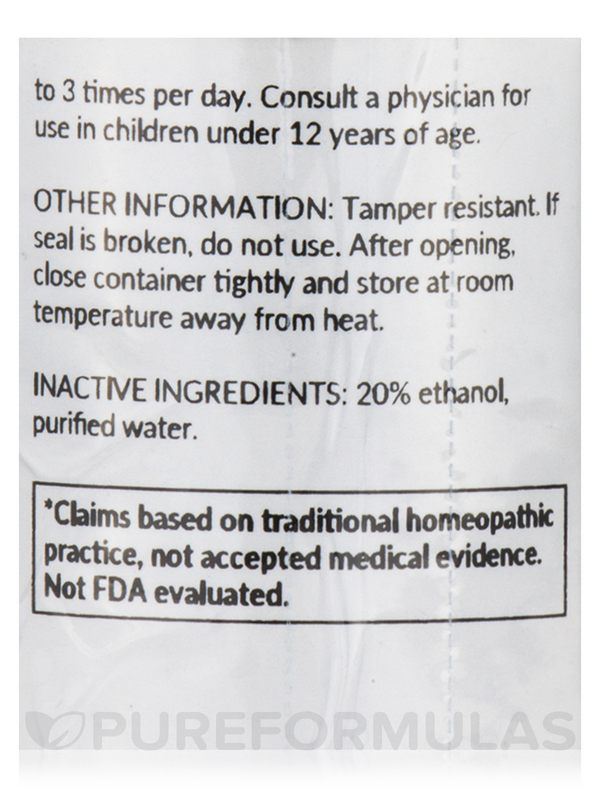 My Acupuncturist maintains faith in the effectiveness of this product from his observation of positive results with a number of his other patients. I would recommend trying it based on that physicians accounts. Not from my own experience however. 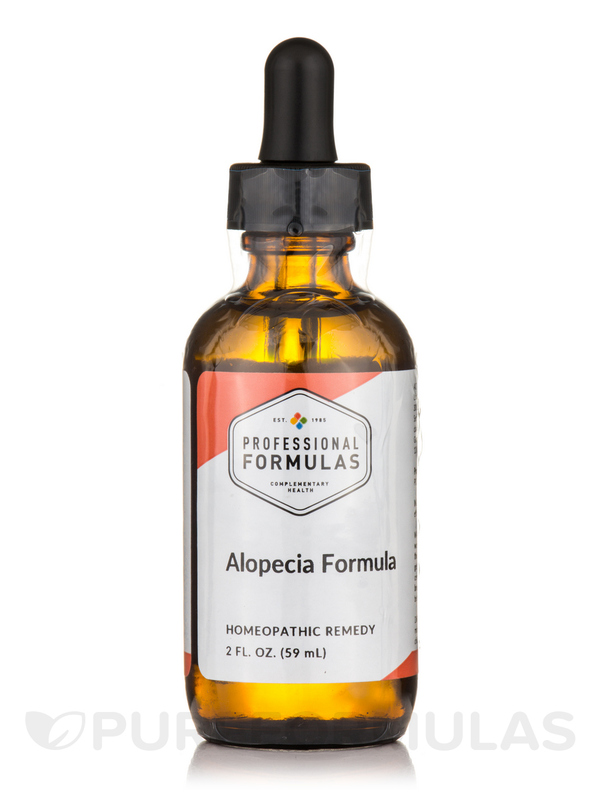 Alopecia Drops by Professional Formulas is great for hair growth.